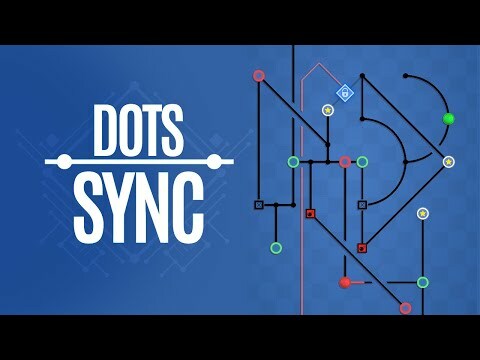 Dots Sync is a modern transport-puzzle. Move a synchronized Dots sliding in various directions with a levels of progressive difficulty that will make you think in the solutions. Enjoy an new design with simple and addictive gameplay, without ADs, microtransactions or ranking of scores. GamePlay: move a synchronized green and red colors Dots across the rails as stopping the movement on the nodes to activate all Goals. > Most varied lines directions, straight, inclined and circular. >Keys: Unlock blocked lines to solve challenges. > Push Button: Unlock paths after the Dot is over it. > Bomb: Clears the goals already won after the blast. > Lock: Hold the Dot, but can free it through the unlock platform. > Teleport: Send the Dot to the starting position.